Street shopping along M.G. road is always fun. But, there are many hole-in-the-wall places that offer items at throwaway prices. 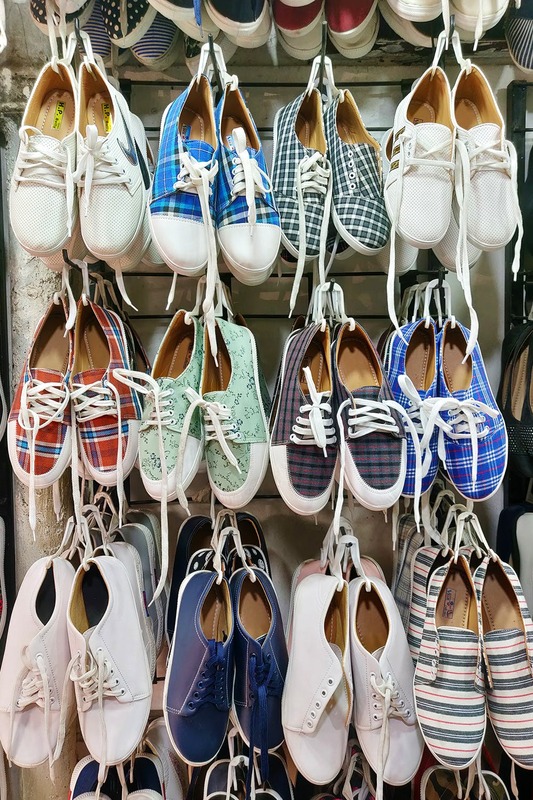 We loved the sneaker collection at Galaxy Sale, a small store that’s stocked up with all kinds of shoes to make your feet happy. Comfortable and easy to slip into. These white shoes with black stripes and laces may look simple, but will make you look cute and complement your white dress, giving you the perfect Sunday brunch look. They’re effortlessly cool and we can picture them with so many outfits. Going for something cute? Lace up in these pista green shoes with a floral print. They’re sure to make you look coy and will look great with a skirt, dress or a simple pair of jeans and a white tee too. Want the comfort of sneakers but need heels to look tall? This shoe will give you happy feet! The store has a range of platform sneakers in different colours, but we loved these simple white ones that'll make you strut out in style and comfort. These baby pink sneakers are apt if your style is simple and very girl-next-door. Pair them with bright clothes or go for a more subdued look. We recommend pairing these with a blue denim dress. You’re sure to look like a diva, instantly. Another striped shoe, we loved this one cause of its simplicity. It’s perfect for when you want your OOTD to be all about comfort. And, the cream, red and black colours on the shoe will make it the the perfect match for so many different outfits.